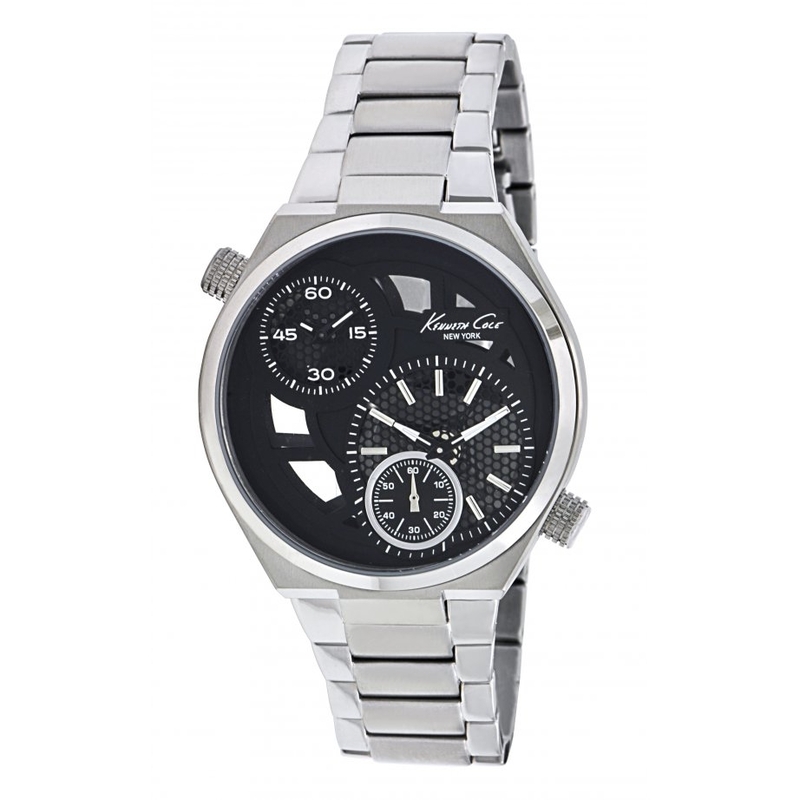 Man watch Kenneth cole with box and stainless steel, with two watchs on the inside of the box, face in black. Measures. 44 mm box diamero.